Granite State Stats… Among active NASCAR Camping World Truck Series (NCWTS) drivers, Crafton has the Most Starts (13), is tied with the Most Top-Five Finishes (4), has the Most Top-10 Finishes (8), has completed the Most Laps (2432), and has the Most Lead Lap Finishes (10). In The Loop – Loudon… According to NASCAR’s Loop Data Statistics, Crafton ranks third in Average Running Position (7.85), fourth in Driver Rating (104.2), second in Fastest Laps Run (92), second in Green Flag Passes (223), and first in Laps in the Top 15 (1571) entering this weekend’s event. 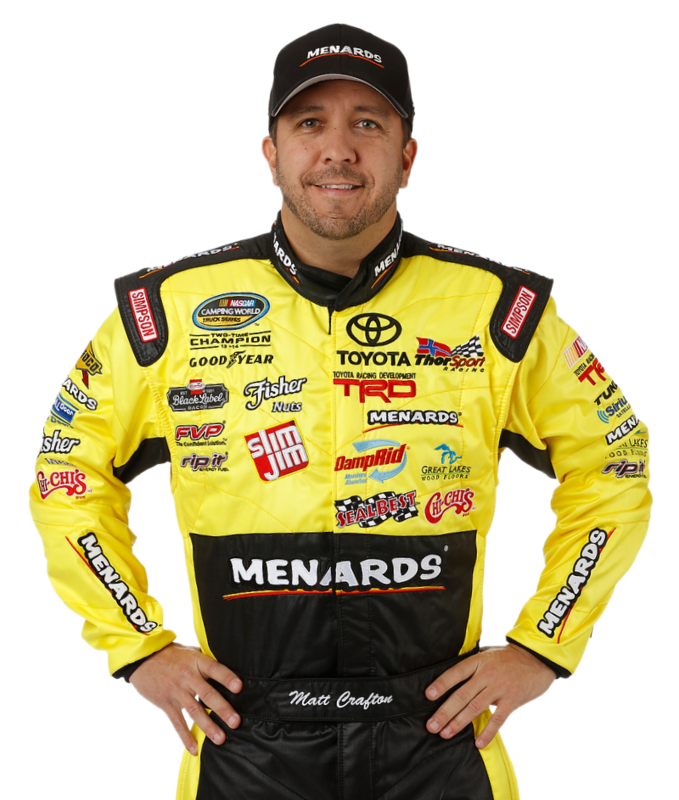 The Chase is On… Two-time NCWTS Champion, Matt Crafton is one of eight drivers to make the inaugural Chase, and is currently ranked second in the 2016 Chase standings. In The Loop – 2016… According to NASCAR’s Loop Data statistics, Crafton ranks first in the following categories; Average Running Position (7.83), Fastest Laps Run (225), Laps in the Top-15 (2105), and Laps Led (425). The ThorSport Racing driver ranks second in Driver Rating (102.7). Loudon Rewind – 2015 … Crafton started 10th, and finished a track-best second in the 2015 NCWTS race at Loudon. Race Rewind – Chicago… Making his eighth NCWTS start at Chicagoland Speedway, Crafton started 13th, ran as high as third, and settled for a 27th-place finish due to damage suffered in a late-race accident on lap 113 of 150. Major Milestone… The Tulare, California native extended the NCWTS record for consecutive starts to 377 in the American Ethanol E15 225 at Chicagoland Speedway, passing four-time NCWTS champion Ron Hornaday, Jr with 360 starts in the 2015 NCWTS season finale at Homestead-Miami (Fla.) Speedway. Crafton made his series debut at Auto Club Speedway in November 2000, and enters his 16th full-time season in the NCWTS, and his 15th full-time season with ThorSport Racing in 2016.